In their early days, 3D printers were only used in industrial and specialized business settings such as architectural firms. As they have inched further and further toward the consumer market, they’ve begun to draw attention from individuals who would love to make rapid prototypes and custom objects at home. The problem is that even the smallest and least complex commercially available 3D printers cost upward of $500, with the cost of higher-end models climbing into the thousands. 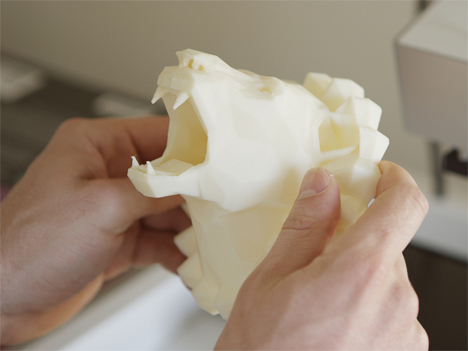 A company called New Matter wants to put 3D printers into every home with a revolutionary $250 machine. New Matter calls their 3D printer Mod-T, a nod to Ford’s vehicle that finally made it possible for the general population to afford their own cars. With some clever engineering tweaks, the Mod-T’s designers were able to lower the complexity and production price of their machine. 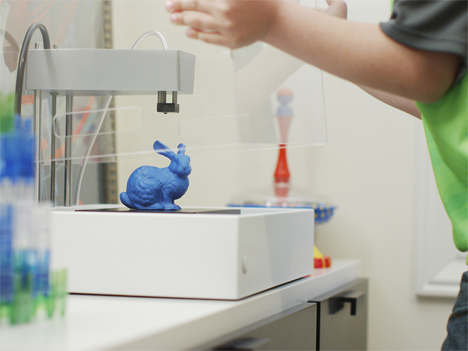 But the company noticed that price wasn’t the only thing holding people back from experimenting with 3D printing. The other hurdles included the need for special skills to operate the machines and the lack of high-quality objects to print. 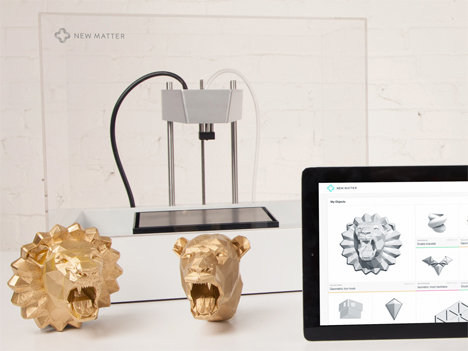 With their revolutionary concept, New Matter would more or less create an app store for 3D printable objects. Designers will be able to upload their designs and Mod-T users can download them with a few taps or clicks. Unlike current sources of 3D printable objects, there is no special programming, tweaking, or modification to be done before the object is printed. 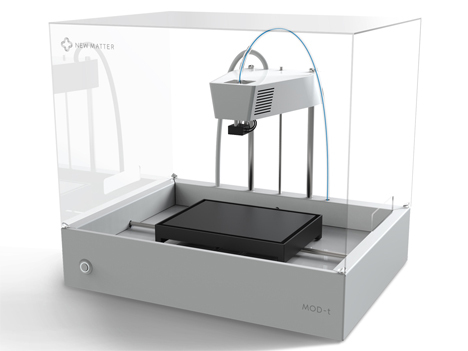 Designers and artists build their printable object files just for the Mod-T so they are already customized to that specific machine and its requirements. After finding and purchasing an object to print, it truly is just like downloading and app and waiting for your object to be produced. Users do have the option of making small changes like the color of the objects before the file is communicated to the machine via built-in wi-fi. Early adopters can order their own Mod-T through the company’s IndieGoGo campaign for $249.